Image from The Funambulist by Léopold Lambert. Nikhil Anand’s dissertation is a nuanced, theoretically ambitious, and timely contribution to political ecology, to the anthropology of the state, and to the emergent field of the anthropology of infrastructure. Anand’s methodological approach, where the city, the “urban,” is the site through which to study the state is provocative for scholars of urban studies. The work is based on extensive ethnographic fieldwork with poor settlers in the city of Mumbai, engineers in Mumbai’s water department, and with various other urban “experts” such as plumbers, social workers and city planners. 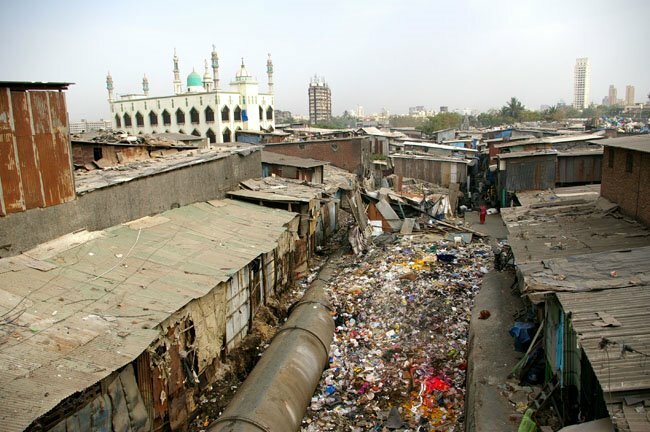 Even for readers familiar with the complexity of life on the urban margins of Mumbai, this dissertation is eminently illuminating of how both inclusion and exclusion are profoundly iterative processes. Through an interrogation of the multiple ways in which Mumbai’s water is made, moved, directed, redirected, acted-upon, distributed, delivered and contested, Anand’s ethnography captures the dynamic and contingent nature of urban water infrastructure and the politics surrounding it. In this sense the dissertation is a remarkable contribution in cultural anthropology because it responds to questions being asked in the field about the relationships between social and physical infrastructures, between materiality and sociality. Urban South Asia and the city of Mumbai are particularly useful ethnographic contexts in which to interrogate these questions. As Anand illustrates so well, in cities like Mumbai, physical infrastructures associated with water such as pipes, dams, pumps, and taps are always embedded within socio-political domains. As soon as they enter social space, they produce and illuminate different structures of power and marginality. The dissertation is animated by the question of how material grids are constitutive of social and political life and how in turn political life adapts to and transforms material infrastructures. Anand looks at the intersections between social and physical infrastructures using James Scott’s notion of infra-politics (p. 40). This lens captures the deeply relational, contingent and negotiated forms of political practice through which the poor in India’s cities access what might otherwise be considered a “public” service. See the full review on Dissertation Reviews. This entry was posted in Anthropology, Difference: Class, Race, Gender, Methods, Sanitation, Urban, World and tagged Dissertation Reviews, Mumbai, Nikhil Anand, water. Bookmark the permalink. Infratheory today and now infrapolitics!